Michael Pergrem has been an LPN for 22 years and has worked in the areas of developmental disabilities, skill pediatric home care, mental health and dialysis. His original plan was to return to school and get his RN degree. Being a single parent at the time he felt he needed to wait as time was an issue. The years went by and that dream slowly faded as he became disenchanted by circumstances. He awakened one day and realized that what he was doing was no longer a calling, but a job. A job where he was no longer dealing with the challenge of healing and comforting, but dealing with completing insurmountable tasks under constant interruptions and ever shrinking time lines. A job that he carried home each day as he wondered if he forgot or overlooked anything important in his haste. A job in which he felt shame in that he wasn’t able to complete all of the tasks put before him without taking shortcuts. These shortcuts, he knew, diminished his self integrity. The priority was no longer his patients. The priority had become getting everything done in less time than was safely achievable in order to meet ever decreasing budgets, in order to either decrease spending of taxpayer dollars or maximize corporate profits. He began searching for ways to apply his empathy driven compassion to heal outside of these constraints he was experiencing. A way to align himself again with his integrity and values as a person and a nurse. A way to make a difference again, in peoples lives and thus in the world. Throughout his life he had always been the guy his friends knew they could go to when crisis arose. He was always there to listen and provide guidance when asked. Instead of doing this by telling them what to do, he found that it was much more effective if he asked them intuitive questions that led them to their own answers and inspiring them to think in ways they hadn’t before. He realized this was his passion and purpose and became committed to pursue his dream. He works with people from all walks of life who have a desire to become their best Self. My weekend was fantastic and filled with grief, joy and continuing self-revelation. Yesterday was a very rough day for me. I was overwhelmed with the mountain of smallness I have discovered to be in the way of who I really am. I have more clarity on who I am and what I will accomplish. I have decided at this point that I will make a difference in the world by taking a holistic nursing approach in serving others. I will continue the training I need to become a more effective coach and will provide service to others in taking a holistic healing approach to creating the possibility of fulfillment, peace, passion, purpose and abundance in their lives. I will lead them in discovering who they really are (great and powerful) and clearing the rubble in their lives of stress, poor health and low self-esteem, and lead them in creating a “lifestyle” (as opposed to “workstyle”). 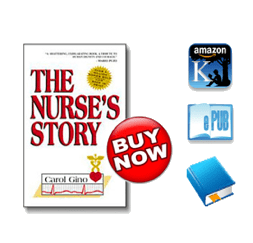 I will offer this transformation to all, but for nurses this will create the possibility of changing our whole healthcare industry from the inside out by creating “nurse change agents”. At the same time I hope to lead those at the top in doing the same by realizing their need to join in doing their part in changing our world for the betterment of all humanity. We all must realize that in order for each of us to have fulfilling lives, and for there to be peace in the world, we all must put each other first. If anyone in my community doesn’t succeed in their life, it affects me as well. The same is true that whenever something bad happens on the other side of the world, it affects us all in a negative way. I will continue to have days like yesterday, as clearing all this smallness out of my path and exercising my newly discovered true Self is sometimes exhausting. But I will get there, so I must be patient with me!